Thank you for joining us for Day 2's opening match! Please tune in to our coverage of today's other matches as Iran take on Morocco and Portugal face off against Spain. La Celeste and Oscar Tabarez break the hearts of Egyptian fans across the globe as it seemed they had what it would take to at least earn a point. 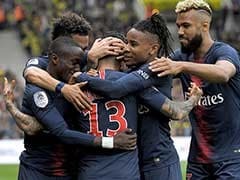 The free kick was expertly delivered by Carlos Sanchez, however Jose Maria Gimenez incredibly rose above several Pharaohs defenders and beautifully headed the ball into the upper right corner of the Egyptian net. It is now Uruguay and Russia that sit atop Group A with the host country in front on goal differential. La Celeste will take on Saudi Arabia on June 20th while Egypt face off against Russia the day before in St. Petersburg. The final whistle blows at the Ekaterinburg Arena! 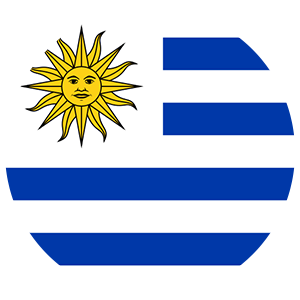 Uruguay takes this game by the score of 1-0! A flurry of chances leads to several crosses being sent into the area by Ahmed Fathi and Mahmoud Trezeguet! Each pass is more dangerous than the last, however the center back tandem of Diego Godin and Jose Maria Gimenez are up to the challenge making three decisive headed clearances. A free kick taken by Carlos Sanchez is whipped in from the right wing to find the head of a flying Jose Maria Gimenez on the near post! The defender redirects the shot over several Egyptian defenders and into the right side of Mohamed Elshenawy's gaping goal. What an unbelievable turn of events! The Pharaohs have had their hearts broken after playing an outstanding 90 minutes of soccer. Uruguay have found the back of the net in the final minutes! They lead the Egyptians 1-0! Edinson Cavani takes a free kick from a dangerous spot that again seems ticketed for the back of the net, but instead it ricochets off the right post with considerable pace. The rebound is lept upon by a teammate that then tries to fling it into the net, however he ultimately ends up hitting another Uruguayan player. Luis Suarez nods the ball back to an open Edinson Cavani at the top of the box who then rifles a volley with his right foot that appears destined for the upper right corner of the Egyptian net. However Mohamed Elshenawy tracks the ball down and makes an incredible diving save to keep this game scoreless! Elshenawy continues to have an absolutely brilliant day in goal for The Pharaohs. A poor clearance by Diego Godin is picked up by Mohamed Elneny just inside the right side of the area. The Arsenal midfielder notices Fernando Muslera out of position and tries to chip the keeper. His shot is dangerous, but it inevitably has too much backspin on it as it flies out bounds over the far side of the crossbar. Hector Cuper will be making Egypt's final substitution in a few moments, but it will not be Mohamed Salah. The last man in will be Ramadan Sobhy, the recent Huddersfield Town transfer. The frustrated Diego Godin wins the ball in the midfield and tries to launch a counter attack. Cristian Rodriguez receives his captain's pass and attempts to send him into the area with a through ball, however Rodriguez's pass is poorly hit essentially giving Godin no chance at preventing the ball from rolling out of bounds. Edinson Cavani sends Luis Suarez into the box alone once again! This time the forward is unable to manage a shot on target as Mohamed Elshenawy clinically leaves his line to block and gather one of Suarez's heavy touches. Ahmed Fathi blasts a shot from distance following a beautiful series of passes strung together by the Pharaohs! The effort is absolutely smoked, but Fernando Muslera is able to somehow absorb the blow and smother the ball for another save. A corner kick is delivered to Edinson Cavani on the near post! The PSG striker turns and hammers a shot toward goal, however it deflects off his teammate Martin Caceres. Bjorn Kuipers then blows his whistle as he judges the ball was handled by Caceres granting Mohamed Elshenawy a free kick inside his own penalty area. Mohamed Elneny and substitute Mahmoud Kahraba work together to create a beautiful give and go opportunity that leads to several crosses from the right wing. All of the passes are blocked by the Uruguayan defense, ultimately leading to a deflected cross falling into the hands of an awaiting Fernando Muslera. The clearance following a Uruguayan set piece falls to an awaiting Rodrigo Bentancur who in turn floats the ball over the Egyptian defense to a lurking Luis Suarez. The Barcelona striker brings the ball down, but play is brought to a halt as the linesman's flag on the near side shoots up into the air to indicate offside. For the opening minutes of the second half it appeared that La Celeste were beginning to figure out the weaknesses within the Egyptian defense, however that has clearly changed in the most recent minutes. The Egyptian defense seems just as strong as they did in the first half causing the Uruguayans to force their passes into inadvisable areas of the pitch. Mahmoud Trezeguet leads another rapidly building counter attack that helps him find acres of space down the left flank! Trezeguet notices the Uruguayan defense closing in on his position and tries to lay the ball off into the path of the equally speedy Abdalla Said, however his pass is placed right into the range of Diego Godin who clears the ball away. Tarek Hamed tries to link up with a teammate in the midfield, but immediately goes to ground holding his left hamstring. It seems as if he will be unable to continue and that will soon see Sam Morsy enter the match in his place. Hardly a minute into the second half Mohamed Elshenawy is called upon to make a huge save! Edinson Cavani lifts a ball over the back line to find Luis Suarez in alone. Suarez is forced to hammer a volley with his right foot from close range, however Elshenawy recognizes the threat and comes off his line to deny the striker of the opening goal. The second half is underway at the Ekaterinburg Arena! The teams have switched ends and it is now Uruguay that attack from left to right. Neither side makes a change at the half so we will continue on with the same 22 players on the pitch. If the action continues on as it did during the first half it seems likely that Hector Cuper will inevitably bring on the sensational Mohamed Salah to break the stalemate. Egypt must feel confident with their first half performance against group favorites Uruguay. 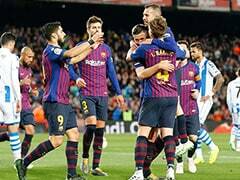 Their defense appeared nearly impenetrable for a large majority of the opening 45 minutes, while their attack certainly threatened Fernando Muslera's net. If anything they might feel disappointed that they were unable to find the back of the net to open today's scoring. Uruguay, on the other hand, will look to use these 15 minutes to regroup and adjust to the Pharaohs strong backline. Luis Suarez missed what seemed to be a sure goal following a corner kick, however La Celeste failed to create any other opportunities. The Pharaohs counter attack in force down the left wing led by Mahmoud Trezeguet! The winger tries to find Mohsen in the center of the area, but the pass is cut out by the Uruguayan back line. The ball then falls to a charging Tarek Hamed who then rifles a volley from distance that is almost immediately blocked by Rodrigo Bentancur. La Celeste then leads a counter attack of their own just as Bjorn Kuipers blows the whistle to bring this eventful first half to an end. Ahmed Fathi connects with Abdalla Said during a quickly building counter attack that leads to Said attempting an acrobatic shot from the top of the box! The ball bounces up and Said chests the ball to his right foot to try an overhead kick toward goal, but his attempt is just mistimed making an easy clearance for the Uruguayan defense. Diego Godin takes matters into his own hands as he comes off his line to lead an attack. Godin goads the Pharaohs' backline and ultimately is able to thread a pass in behind them to a blisteringly fast Giorgian De Arrascaeta. De Arrascaeta's first touch is lacking, though, as instead of controlling it he pushes it well over the end line for an Egyptian goal kick. A flicked ball from the center of the pitch finds Nahitan Nandez near the right side of the box. Nandez leaps off the ground and floats a header to the near post. It's unclear if this was an attempted shot on target or a cross to the streaking Luis Suarez, but either way the ball is coolly collected by Mohamed Elshenawy. Marwan Mohsen dishes the ball out from the box to a wide open Mohamed Abdelshafy on the left wing! Abdelshafy then whips in a cross to the near post, however his pass is placed nowhere near any of his teammates and is instead clinically caught by Fernando Muslera. Tarek Hamed clips Giorgian De Arrascaeta with a sharp stab of his left foot in the center of the pitch to grant Uruguay a free kick in a dangerous area. Luis Suarez stands over the ball and will look to send this one on Mohamed Elshenawy's goal from distance. Amr Warda picks out Marwan Mohsen at the top of the area with a lovely pass from the right flank. Mohsen feels he has the ability to find the back of the net as he turns to lose his defender and sends a dribbler toward goal. The shot is placed on target, but once again the turf takes out any venom from the effort as Muslera calmly picks the ball up for an easy save. Luis Suarez misses an absolute sitter from inside the six yard box following a corner kick! The ball somehow found its way from the right corner flag to the far post almost completely untouched. The lurking Suarez attempted a volley with his right, but his effort is shockingly mishit as he misses the target just a few inches to the left of the post. Giorgian De Arrascaeta delivers the match's first corner kick from the left flag. The cross is placed in an exceptionally dangerous area, but the young keeper Mohamed Elshenawy charges off his line and punches the ball out of the area to clear the threat. La Celeste are finding it extremely difficult to break down the rigid Egyptian defense. Ahmed Hegazy and Mohamed Elneny have thus far conducted their teammates in an outstanding fashion and the Uruguayans are clearly struggling to adapt and find a way in behind. A cross from the right wing connects with Luis Suarez on the near post! The Uruguayan lashes at the pass with his first touch to send an effort goal bound, however the finish is lacking as the ball flies well wide of the target. The ball deflects off Mohamed Elneny and falls to Mahmoud Trezeguet inside the box! Trezeguet controls it to the best of his abilities, spins, and hammers a weakly struck volley on goal! The effort is softened by two bounces, making Fernando Muslera's job much easier. Edinson Cavani unleashes a low driven attempt from outside the area for the first shot of today's match. The effort is placed well, however the venom is taken out by the stadium's thick pitch making Mohamed Elshenawy's diving save appear much more routine than initially anticipated. The Pharaohs' full pitch press has found decent success in the first five minutes of action at Central Stadium in Russia! They have continually pressed La Celeste further and further back into their own half, there have been no true attacks by the Egyptians yet but it seems inevitable if the Uruguayans are unable to adjust. Giorgian De Arrascaeta and Luis Suarez link up to create an early attack just moments into the match! The striker drops back into the midfield to pick up the ball and attempts to find his attacking partner, however the Egyptian backline stays rigid and makes a clinical clearance to thwart the effort. Bjorn Kuipers blows his whistle and we are underway in Yekaterinburg! 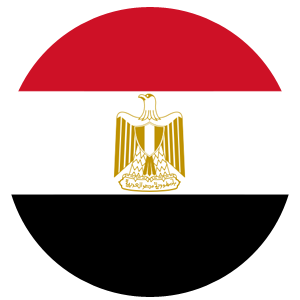 Egypt, today's home team, wear a red and black kit and will attack from left to right throughout the first half. The Uruguayan team, conversely, are not dressed in their famous sky blue and white kits, but a sharp all white kit instead. Today's match, on the other hand, takes place at the interesting Ekaterinburg Arena, a stadium that has sparked much debate throughout the soccer community during the build up to the 2018 World Cup. The arena normally holds just 23,000 fans, a number that falls 12,000 short of FIFA's requirement. To make Ekaterinburg Arena eligible to host a World Cup game two 45-meter high grand stands were installed outside the stadium to increase the stadium's capacity to 35,696. The additional seating will be removed after this summer's festivities to return the venue to its standard appearance when the current tenants FC Ural Yekaterinburg return to action next season in the Russian Premier League. La Celeste and The Pharaohs have only ever faced off once in their history. The match took place on August 16, 2006 in Alexandria, Egypt and resulted in a 2-0 Uruguay victory on the back of a Diego Godin 67th minute goal and an own goal scored by Abdelzaher El Saqqa in the 77th minute. The two time World Cup Champions La Celeste arrive in Russia with a heavy weight resting upon their shoulders as they are heavy favorites to claim the weak Group A. Uruguay impressed many in 2010 when they finished fourth overall in South Africa, however Colombia's James Rodriguez netted a brace to eliminate them in the Round of 16 during the 2014 World Cup. The attacking pair of Luis Suarez and Edinson Cavani poses a formidable threat for any team participating in this year's tournament, but can The Pharaohs' backline withstand the test today? A large majority of news surrounding Egypt entering this year's World Cup has been about their breakout superstar Mohamed Salah. The 25-year-old Liverpool forward suffered a ligament injury in the Champions League Final after being taken down by Real Madrid's Sergio Ramos. 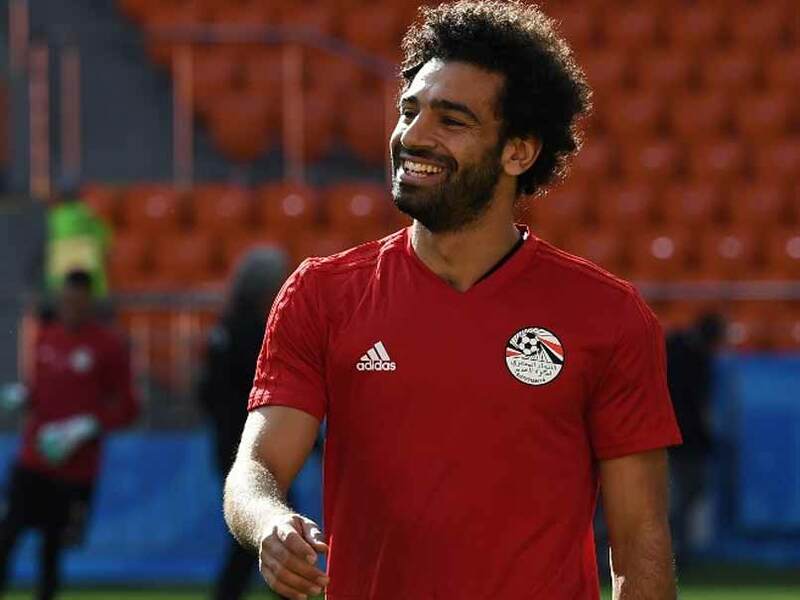 The Pharaoh's manager Hector Cuper has assured reporters and Egyptian fans that Salah will certainly play against Uruguay, however he did not specify if the winger would start or not. 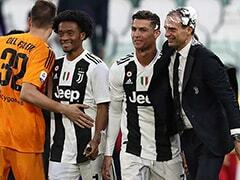 Nonetheless, the next three to four weeks will doubtlessly be a time of celebration in Egypt as their national team has not qualified for a World Cup since 1990 when the competition was hosted by Italy. Day Two of the 2018 World Cup kicks off in style with a Group A headliner as Egypt take on Uruguay! Kickoff is a little under an hour away, so let's take a look at today's starting lineups and analyze the team news coming out of their respective base camps. 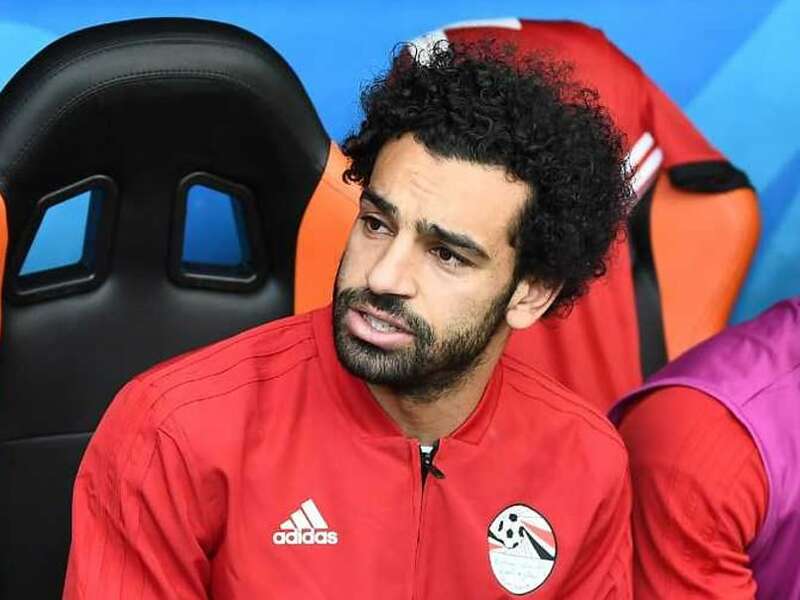 "Mohamed Salah was kept on the bench for Egypt vs Uruguay Group A match because the team did not want to risk further injury to the Liverpool star. "Jose Gimenez rose to power a header into the top corner and break Egypt hearts. 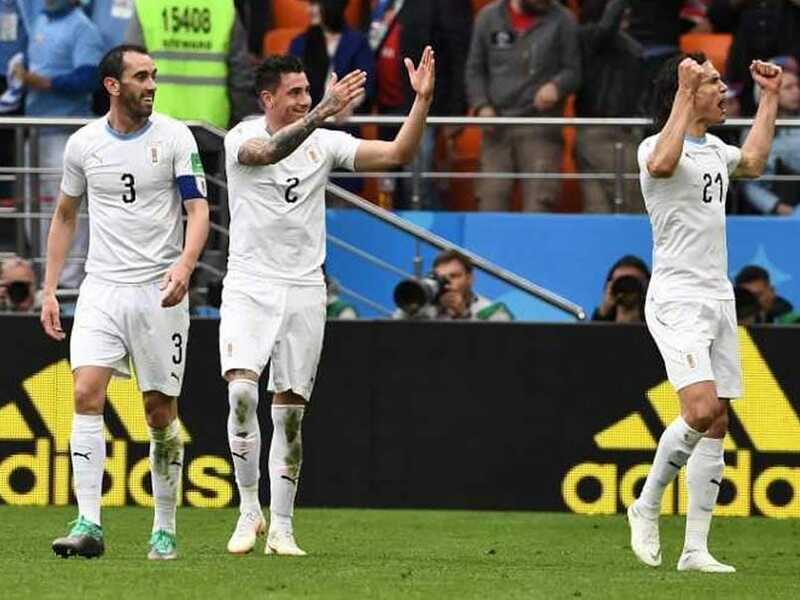 "FIFA World Cup 2018: Egypt vs Uruguay Highlights: Uruguay's deserved last-gasp victory leaves them and Russia in early control in Group A after the hosts' 5-0 mauling of Saudi Arabia in the tournament opener. 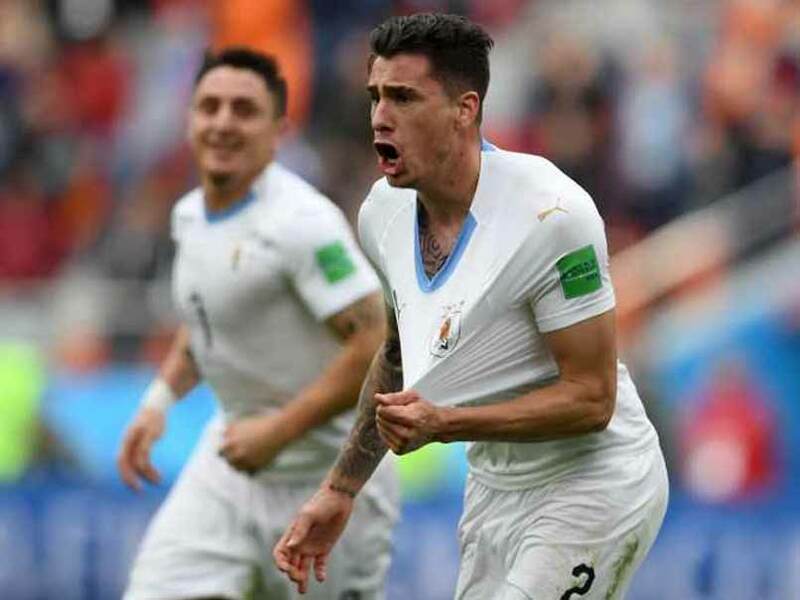 "Uruguay will aim to get their campaign off to a good start while Egypt will be eager for a positive result in their first FIFA World Cup appearance in 28 years when the two teams meet in a Group A clash at the Ekaterinburg Arena on Friday. 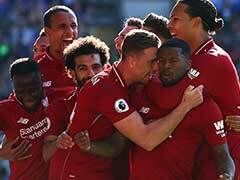 "Mohamed Salah's return after weeks of uncertainty is a massive boost for Egypt and for the World Cup in Russia.